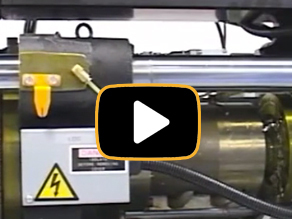 Electric molding machines now account for over 50% of new machine sales. There are several reasons for their popularity; more precise control, lower electricity consumption and potentially faster cycles are among the reasons. But along with these and other advantages are potential problems. These machines require an understanding of this new technology by the operating personnel to gain the benefits and avoid very expensive mistakes. In short, they require more knowledgeable personnel at all levels. This requires electric injection molding machine training. Course Description: Paulson offers a three-lesson Electric Injection Molding Machine course. This course integrates into the Paulson 15 lesson Practical Injection Molding training course. Molders who already have the 15 lesson course and are interested in Electric molding machines will want to integrate this new course into their training program. Others may just want to start out with just the All-Electric course. Explanation and effects of the injection controls: injection rates and pressures, vpt settings, back pressure, shot size, cushion, control change ramps, decompression and others. Clamp settings: control of clamp distance and speed, clamp force, safety concerns. Procedures for utilizing the advantages of the Electric machine.